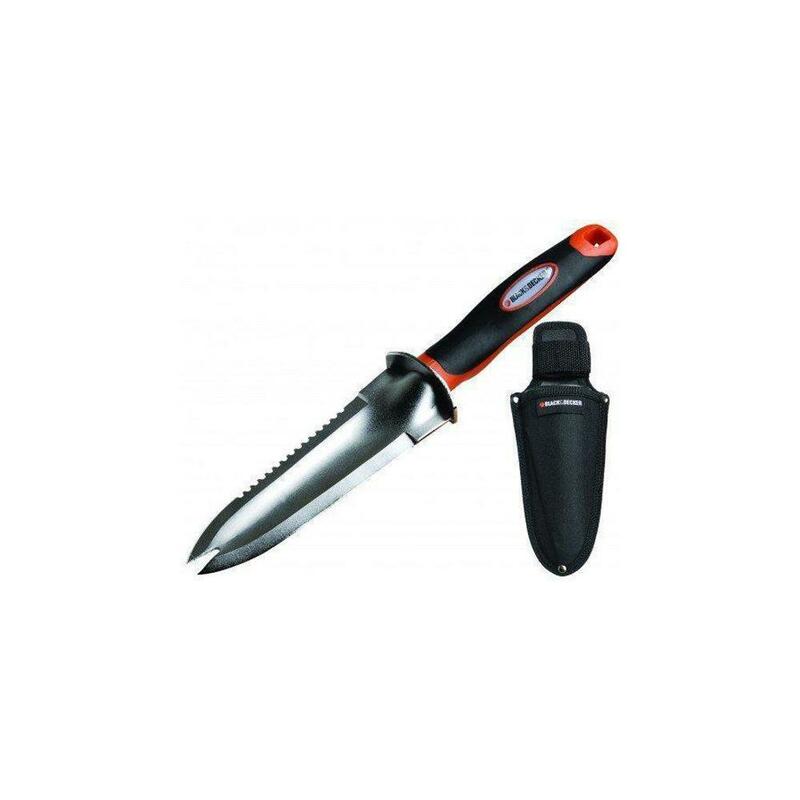 With this multifunctional garden tool from Black and Decker you bring a product into your home that you can use to create, hoe and cut art. There is a hoe system in the tip and the knurled edge makes it easy to cut. 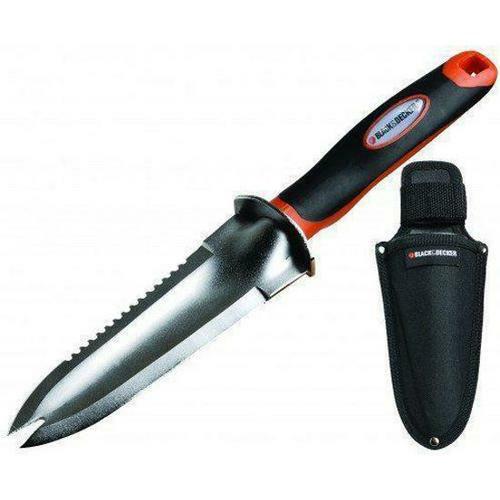 Equipped with: trowel / transplanter, toothed cutting edge, hoe tip, durable steel construction, molded soft grip handle and belt case included.